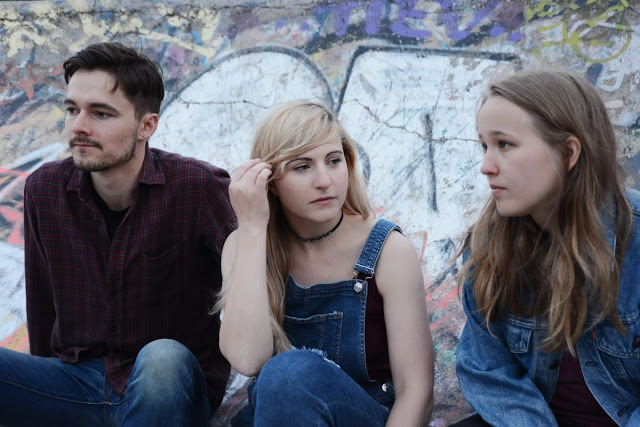 Following on from The Poet, darkened pop masters Wyldest return with their brand new single Hitchhiker. Taken from the band's forthcoming new EP of the same name, due out September 29th through Hand In Hive, the track sees the London-based trio open up to further electronic elements than before as they depart from guitar led melodies opting for hazy electronics and echoing vocals. "I recently became obsessed with a true story I read about a hobo hitchhiker" explains singer Zoe Mead. "This dude had nothing material, but anyone who met him saw him as happiest person they'd ever met. ‘Hitchhiker’ is about the dream many of us have about 'escaping' society and rejecting materialism in favour of living alone with nothing but nature, our own thoughts and air in our lungs. The art of being happy just to exist with your own mind as entertainment; what a power that would be". Take a listen below for yourselves.